For diamond faced individuals, stylists recommend eyeglasses that contrast or soften the angles of your face, including oval, rectangle, and horn-rimmed frames. Oval glasses help soften the strong, angular features of your face. Glasses with a rectangular frame shape offer contrast to your facial features, while horn or cat-eye eyeglasses extend beyond your brow to help bring more balance to the structure of your face. Snap a selfie or take a look in the mirror and trace the outline of your face. If the shape you drew is wider in the middle than at the top and the bottom, you have a diamond shaped face. The angles and lines created by your facial features work well with more curved frame shapes. You can also try out some more daring styles, like eyeglass frames with strong browlines or more pointed temples. 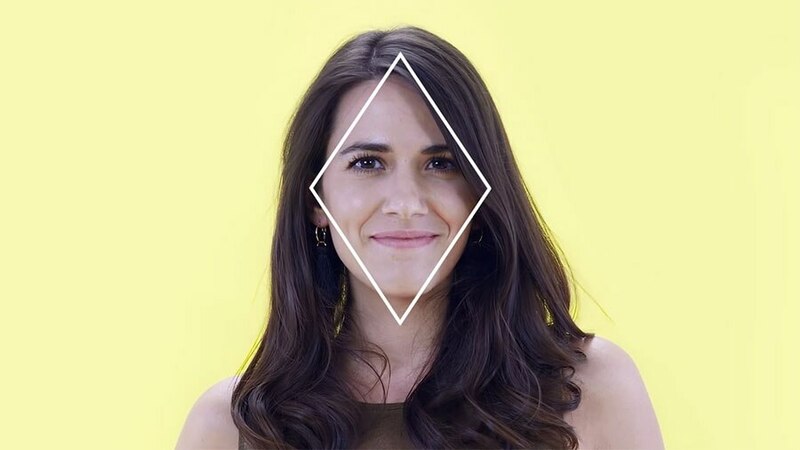 Have a diamond shaped face? Looking for some bold and daring frames? Then cat-eye eyeglasses are for you. Fierce browlines and sharp temples help bring the focus higher on your face, making your look balanced and complete. Perfect for those of you looking for a strong, feminine touch. The general rule of thumb when it comes to picking out the right pair of glasses is to find a frame that contrasts your face shape. For diamond shaped faces, that means glasses with an oval lens shape. At EBD, our ovals a little more round than what others might consider. Bold- or thin-framed, for men or women — oval eyeglasses are your worry-free option. Rectangular eyeglass frames may seem counter-intuitive, but their right angles help offset the contour of your face while full brows help bring more focus to the top of your face. Similar to cat-eye frames, horn eyeglasses balance out diamond shaped faces by balancing out full cheeks with prominent design elements at the top. While chunkier brows have a more masculine feel, horn eyeglasses are great for both men and women. When shopping for eyeglasses, don't limit yourself! Full-rimmed glasses are perfect for your face shape, but rimless and semi-rimless can serve your inner fashionista just as well. If you're going for tech-savvy, EBD has some stylish metal, browline glasses with semi-rimless frames. Maybe you're in the mood for something more bold and beautiful. We just have one warning: Try to avoid buying glasses too large or small! Not sure what size frame will fit your face best? Check out our handy guide on frame measurements. Now you're probably thinking, "I wanna try on these (all) of these glasses!" That's where EyeBuyDirect's EyeTry tool comes in. EyeTry is your digital fitting room, that lets you see how you look in any pair of glasses (or sunglasses) from EyeBuyDirect. How does it work? Simply click "Try On", either in our catalog or on a specific style's page. Then you can upload a picture of yourself and see what you look like in that frame.